The investigated alloys are newly developed Tribaloy alloys with enhanced crack and oxidation resistance over the traditional Tribaloy alloys. The cyclic oxidation performance and effects of complex oxides on the hardness of cobalt-based Tribaloy alloys T-401 (hypoeutectic) and T-900 (hypereutectic) were assessed. The results showed that T-900 alloy has a lower oxidation rate as compared to T-401 alloy at 800 and 1000 °C, which attributed to the formation of dense continuous Cr2O3 layer with an upper thinner continuous layer of CoCr2O4 and NiCr2O4 oxides. At 1000 °C, T-401 alloy exhibited poor oxidation resistance due to severe spallation after 3 cycles (45 h). After oxidation, T-900 alloy exhibits 98% and 18% lower mass gain than T-401 alloy at 1000 and 800 °C, respectively. For T-900 alloy, relationship between mass gain and thickness of oxide layer revealed that mass will increase 0.162 mg/cm2 for every 1-µm increase in the oxides thickness. Internal SiO2 oxide was observed at 800 and 1000 °C for both alloys. However, the extent of internal Si oxides increased with increasing oxidation temperature from 800 to 1000 °C. Consequently, internal oxidation of Si led to the formation of Laves phase-depleted region near oxide/alloy interface in T-900 alloy at 1000 °C. 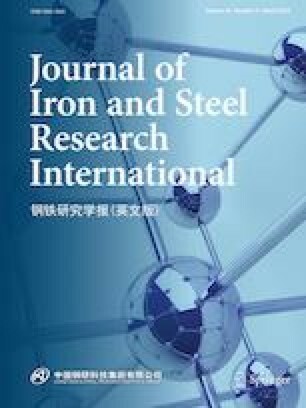 Thus, hardness of T-900 alloy decreased from 618 to 392 HV beneath the oxide/alloy interface at 1000 °C, whereas hardness of T-900 and T-401 alloys after cyclic oxidation test at 800 °C increased from 618 to 855 and 519 to 685 HV, respectively. This work was supported by Tsinghua University Initiative Scientific Research Program and National Magnetic Confinement Fusion Energy Research Project of China (Grant No. 2015GB118001).